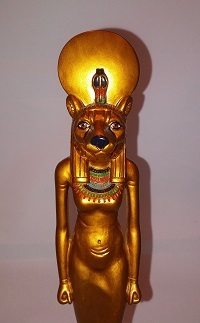 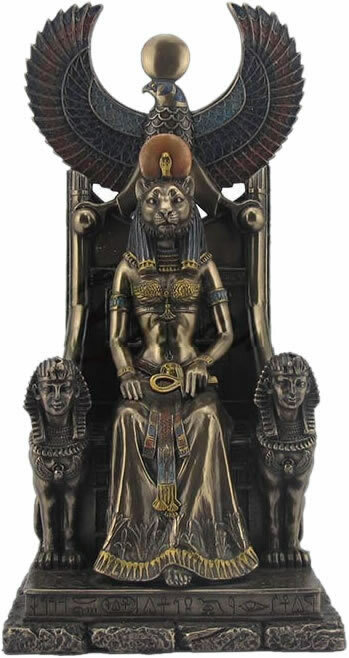 Sekhmet rests on her throne, her ankh in her left hand, her body upright, her lion eyes alert on the distance. 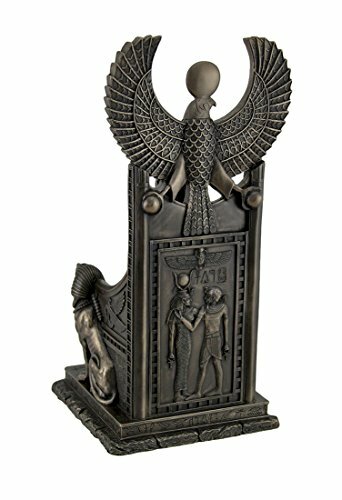 Her throne’s arms are sphinxes, the sun disc and cobra are on her crown, blues, reds and golds highlight from top to bottom. 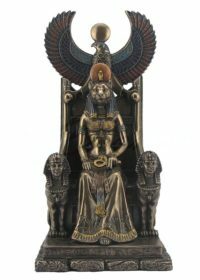 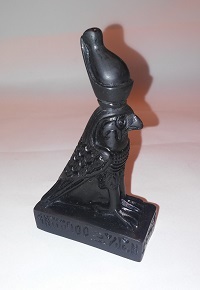 Look further and you’ll find hieroglyphs on her base, along with Egyptian detailing all the way around. 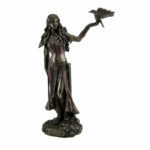 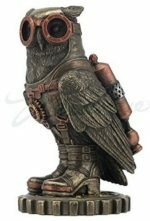 She is from the finely detailed Veronese collection of finely cold cast resin bronzes, with hand painted details.